Valentine’s Day always seems to bring with it the pressure of trying to plan a romantic and unforgettable day for the special person in your life. This year, let The Rittenhouse take care of the details. Bring your romantic getaway to Philadelphia when you reserve our Rittenhouse Romance package. Spend the night in our luxury overnight accommodations, enjoy a $100 food and beverage credit, and receive complimentary goodies like chocolate-covered strawberries and champagne. During your stay in Center City, make sure you get out and experience some of the best things to do on Valentine’s Day near our hotel. Read on to learn more about our top recommendations for a romantic trip to Philadelphia. Start your night off right with an elegant dinner at our on-site restaurant Lacroix. Featuring a special five-course meal for just $135 per person, this is the perfect place to set the mood for a romantic Valentine’s Day in the city. Reservations are required and can be made by calling 215.790.2533. Make an afternoon out of your Valentine’s Day celebrations with a special Valentine’s Day Tea at the Mary Cassatt Tea Room. For $125 per couple, you’ll receive two glasses of Sparkling Rosé, four chocolate-covered strawberries, and a fresh rose on the table in addition to our delectable tea and pastry offerings. Reservations are required and can be made by calling 215.790.2533. Nothing says Valentine’s Day quite like a romantic couple’s massage. Our on-site luxury spa offers a range of services, treatments and packages perfect for couples on a romantic escape. Find ultimate relaxation with your significant other in the comfort of our Philadelphia accommodations. Reserve your couple’s treatment by calling 215.790.2500. An unforgettable partner deserves an unforgettable gift. Discover unique and luxury gifts at Egan Rittenhouse along with stunning, bespoke floral arrangements. For more information and floral orders, call 215.433.1632 or email info@eganrittenhouse.com. Starting on Valentine’s Day, Scarpetta Philadelphia will be offering a four-course, pre-fixe meal for $68++ until Sunday, February 18th, in addition to their a la carte menu. Stop in early for their popular happy hour from 4PM-7PM in the bar and lounge downstairs. Reservations can be made by calling 215.558.4199 or online. Venture into the art-driven neighborhoods of South Philadelphia for a creative Valentine’s Day escape. Those celebrating an early Valentine’s Day weekend in Philadelphia will enjoy an evening of art and delicious drinks at the Fleisher Art Memorial. Returning for its 18th year, the annual Print Love-In event at Fleisher is where guests can create one-of-a-kind Valentine’s cards while learning about a variety of printmaking techniques. For Valentine’s Day only, the Rothman Rink in Dilworth Park will be offering a special Sweetheart Skate. Grab your sweetie and hit the rink for buy one, get one admission and tasty cocktails on-site. 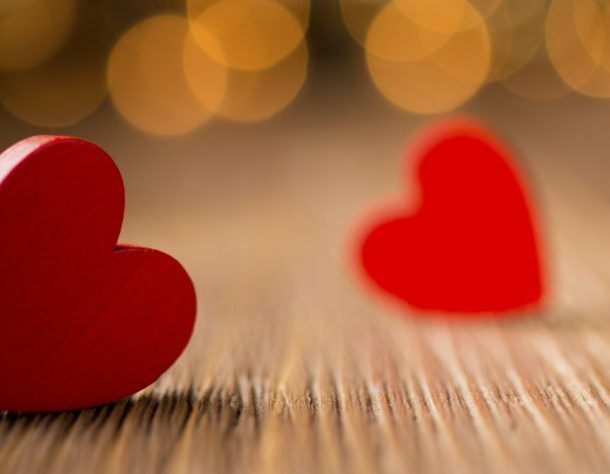 “If music be the food of love, play on!” This famous Shakespeare quote has never rung truer than after you’ve spent a romantic evening at the Philadelphia Orchestra’s annual Valentine’s Day concert. Featuring a selection of music intended to honor and exalt the magic of love, this concert makes for the perfect end to a day full of love. With so much to do near our Center City hotel on Valentine’s Day, there’s no better place to spend your romantic Philadelphia getaway than at the Rittenhouse. Reserve your Valentine’s Day vacation today!